If the industry wants to destigmatize cannabis it is important to provide accessible avenues for new users. When you are new to cannabis, you are looking to take baby steps, test the waters and not get in over your head. In today's legal market there are so many options it is overwhelming. Most new cannabis users are not smokers, and they do not want to become smokers leaving vaporizers and edibles as their best options for consumption. Edibles take longer to elicit an effect and stay in your system longer than inhalation. It is not a great way to introduce someone to cannabis, especially the older recreational or medical user. 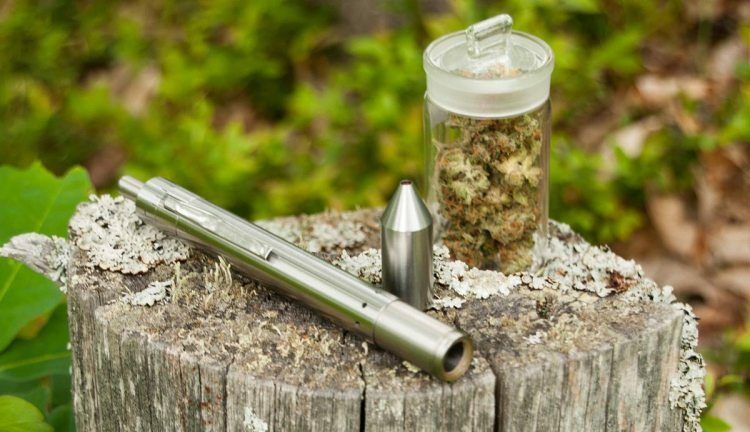 Vaporizers can be a great choice for new users. They are easy to use and provide quick results. There are two main types of vaporizers. Flower Vaporizers - Flower vaporizers are the best choice for cannabis consumption for anyone new. They are intended to be used directly with the plant material and extract the active ingredients by boiling them off as opposed to burning. This is the category the Grasshopper fits into. Its low learning curve and easy operation make it the ideal choice. It is made in the USA and carries an industry-leading lifetime warranty. Oil Vaporizers - Oil vaporizers use a concentrated oil that is heated by a super hot coil. The concentrated oil is more potent than the plant material and is not recommended for new users. Oil extraction techniques are loosely regulated and are not all considered to be safe. The build quality of these devices is low as they are most often disposable or semi-disposable. None of these statements have been evaluated by the FDA, but we'll give you our take on it. By definition, vaporizers should be healthier than smoking as the lower temperatures and lack of combustion produce fewer carcinogens. This obviously will not be the case if your vaporizer burns your herbs. There are so many vaporizers on the market today and only a few by reputable companies that produce devices that work. The Grasshopper is one of the few units that can produce consistently good results with little effort. Using integrated temperature sensors and microcontrollers the temperature of the air is monitored hundreds of times per-second keeping it at just the right temperature. Other factors such as materials choice play a big role in safety and health. A product built in a low-quality overseas factory might contain dangerous materials or contaminants that even the company producing them does not know about. The only way to truly know what is in the product is for the manufacturer to have direct control over the process. This is why devices made in the USA are a safer bet than those made in China. 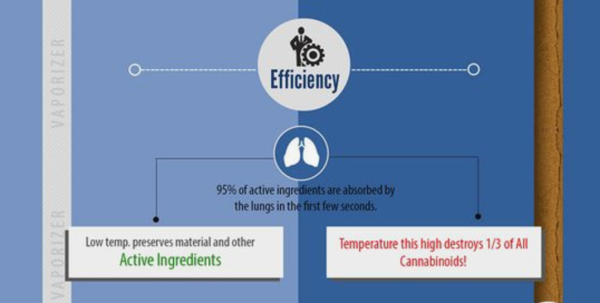 In general, this is true across the board, but each vaporizer will have its own efficiency numbers. The Grasshopper is an especially efficient device. Its pure convection technology and short air path allow upwards of 95% of active constituents to reach you. Vaporizers are the consumption method of the future because they are discreet and also really cool devices. You can use them almost anywhere (where legal) without disturbing those around you or committing to the traditional "stoner" appearance. Vaporizers accommodate those with kids and older users who what to keep a low profile. Thanks for reading. Check us out on Pinterest, Facebook, and Instagram. Over the last few months, we've been working behind the scenes to implement internal upgrades to the Grasshopper Vaporizer. We addressed the most common issues, improved performance, and increased reliability. The Grasshopper is continually evolving into a better and better product. With the addition of new internal components, it is necessary to add identify markings for reliability tracking. Hopper Labs acquired a Rofin Laser marking system for this purpose. In our latest post and new video, we are showing off the Grasshopper's simple and elegant features. There are so many vapes on the market, but you might notice nothing is similar to the Grasshopper. Find out why as we cover, temperature settings, chamber, on/off operation, battery swaps and more. See the video here.